Source: Vancouver Watersheds Alliance. Artist: Jamie Lutz. All the fancy engineering stuff I do with post-construction runoff control does not get mentioned until number five. With so much of the contributing infrastructure literally underground, it should not be a surprise that most people do not immediately consider the vast network of drainage pipes, treatment systems and infiltration galleries that they drive across when heading to the grocery store. Nor do they necessarily recognize the function of the bioretention cell between the parking spaces or the pervious pavement beneath their feet. On the other hand, almost anyone living within the reach of a permitted municipal separate storm sewer system (MS4) has seen a “No Dumping, Drains to River” sign installed on a catch basin. In actuality, basic public education is far more effective and powerful a tool in the management of storm water runoff than the most sophisticated treatment or infiltration best management practice (BMP). While considering this, I recalled one of my own “forest for the trees” moments. It was a rainy Saturday morning and I had stopped by the office with my then four-year-old daughter to catch up on some work that I had neglected to finish during the preceding week. We had visited the library first to load up on books so she would be occupied for a couple of hours while I sat behind a computer monitor. After a little while, she called me to come look out the window, where a small construction crew was excavating a narrow utility trench leading to one of the offices on the other side of the parking lot. The backhoe was bringing up chunks of red-brown earth from the subsurface and the rain was washing the silty soil directly to a low-lying catch basin, leaving a long, muddy stain. “That looks like chocolate milk,” she said. “Well, it’s not,” I said. I explained how the silt was getting swept into the catch basin where it would travel through a pipe to the constructed wetland behind the buildings, which was a great habitat for frogs, dragonflies and water birds. “They should be doing more to contain that mud so that those animals’ homes are protected,” I said. With that, I went back to the design I was completing, only briefly contemplating what would happen if I confronted the situation across the way. After a little while, I was finished working, and we packed up our books and snacks and headed toward the car. While I was loading the vehicle, my daughter began to walk over to the construction area. I hurried after her and watched with a mixture of horror and admiration as she strode up to the crew foreman and pointed to the soil running down the pavement. Within minutes, some straw wattles and filter fabric were installed, the chocolate milk stain stopped flowing to the wetland and I left, proud of my little girl and marveling at the simple power of public outreach (if somewhat embarrassed at my own failure to administer it). While I would like to recommend a spirited four-year-old to every municipal phase II permit holder needing to fulfill their public outreach and involvement requirements, the truth is that most of these entities lack the resources to build independent storm water education programs. This is why it is critical to support the non-profit and volunteer networks that perform these crucial duties. I live in Vancouver, Wash., where the city contracts through a great example of such an organization, the Vancouver Watershed Alliance, to meet some of its outreach needs. Through neighborhood grants, homeowner incentives and visible, public projects, this group’s advocacy does more to mitigate the negative effects of storm water runoff than the most complicated engineered, post-construction system I have ever designed. There are hundreds of such organizations across the country, fulfilling a vital role in the advancement of our societal water quality goals. 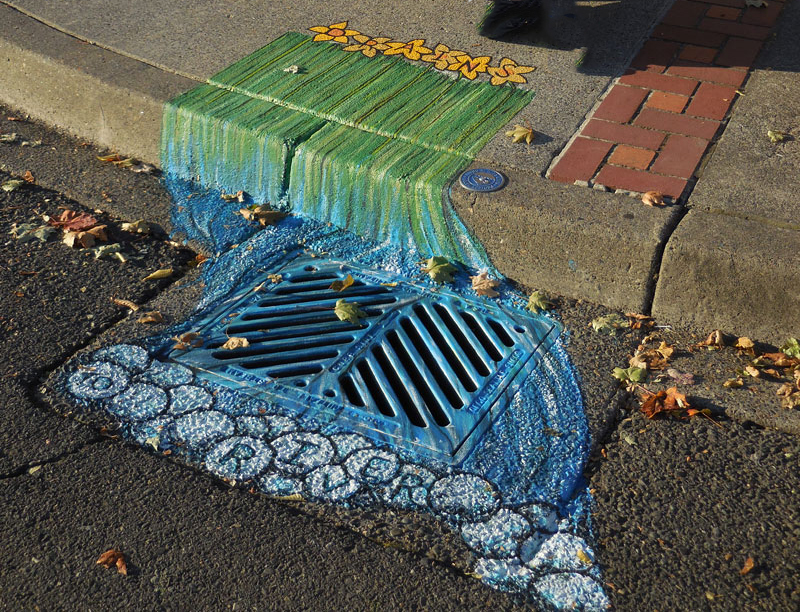 As storm water professionals, we all play our individual parts to promote a cleaner aquatic environment. Public education and community engagement, however, is one aspect that we should all be engaged in if we truly want our goals to be actualized.